All species caught, lake records, big carp, monster catfish and great fun, these guys don’t mess around I tell you! 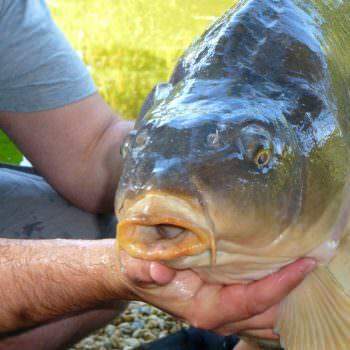 This week we welcomed another new group who were very keen to tackle some of our monster catfish and big carp. The first thing you need to know about them is that they really take their fishing very seriously indeed. They’ve even created their very own angling club WOFTAM AC (I think I’ll leave it to your imagination as to what it might stand for) and each trip T-shirts are commissioned for the adventure. On their return they write and publish a newsletter about the trip and I’m hoping they’ll furnish us with a copy (although I’ve been warned it may require some editing before it could be published on the website!). 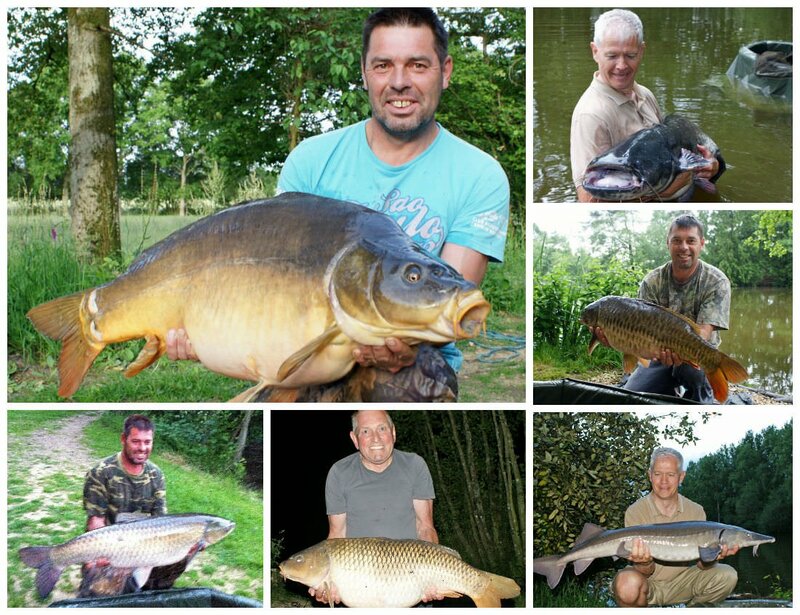 These guys have been fishing together for 20 years and have fished all over the UK and France. 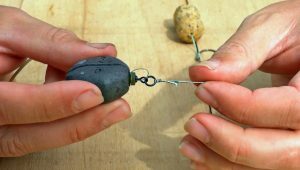 They’ve fished Redmire Pool, and next year it’s Rainbow and then the Ebro so they certainly know a thing or two about carp fishing and fishing holidays. 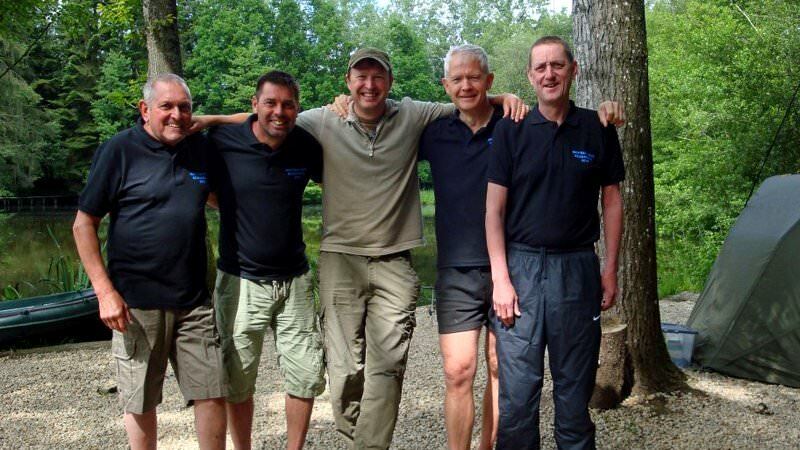 We were delighted that they chose our French venue for their 2014 holiday as it met their key needs of exciting fishing prospects and a very comfortable accommodation for R&R and great meals. We were even happier that they loved it so much and the service we provide. Considering their level of experience, we were flattered that they’d seriously done their homework on the place and found my blogs of such interest and value. 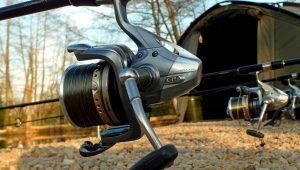 They’d all chosen to adopt the Beausoleil bottom bait rig and were very impressed by the mechanics of it. They also loved the tell-tale lead feature. While chatting to them on Tuesday, the subject of hook sharpening came up and the guys were very keen to see the tools and technique that I use. I spent a very pleasant hour sharing some beers and demonstrating the technique. 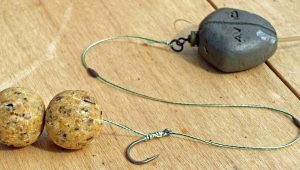 I love the look of wonder on people’s faces when they see the difference for the first time between a hook straight out of the packet and a hand-sharpened one. I lent them some kit for rest the week and they spent some very enjoyable time everyday sitting round the picnic table filing and honing their points to perfection. I know they’ll be ordering a sharpening kit as soon as they get home! 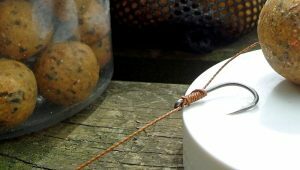 If the subject of hook sharpening is something that is of interest to you then all you have to do is ask and I’ll happily demo it to you. On the fishing front the guys had a great week’s fishing. 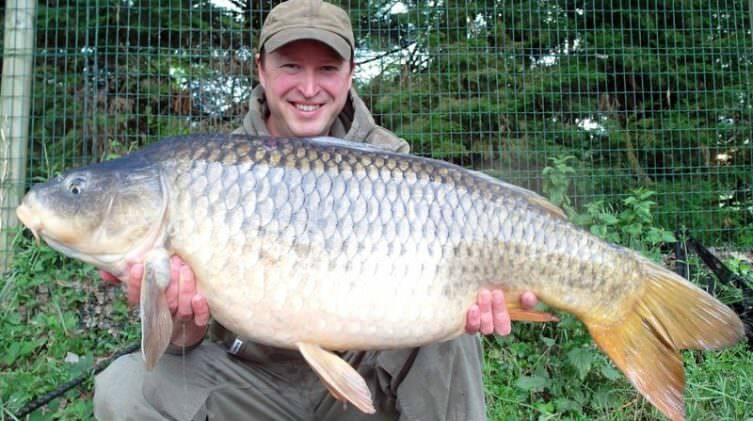 Mark was specifically after some big cats and that’s just what he caught. 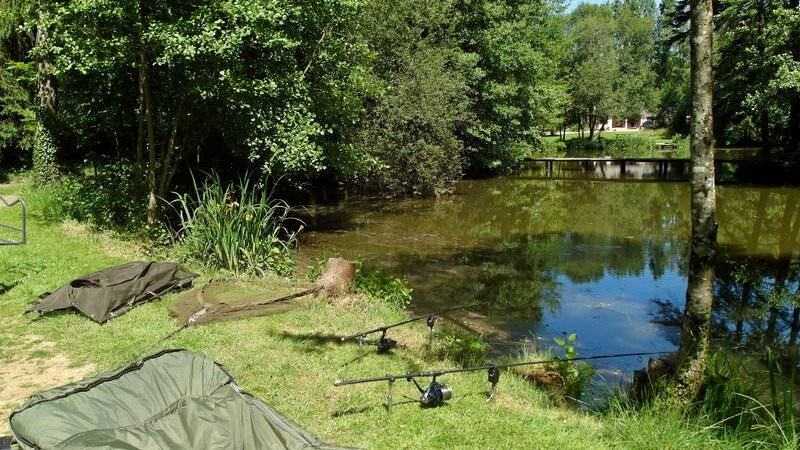 Based in Catfish Corner for the whole week except Friday night, Mark used an unusual bait that he’d been put onto by a mate who’s a member of the catfish conservation society. It’s something that he’d like to keep up his sleeve so I won’t tell you what it was but it certainly surprised me (thanks for the leftovers in the fridge!). Presented over beds of house pellet, it worked a charm. Mark was properly geared up for the big cats and was only smashed once which is very good going. His best was 92lbs (PB) which is our third 90+ of the year, the others weighed in at 79lbs and 71lbs. 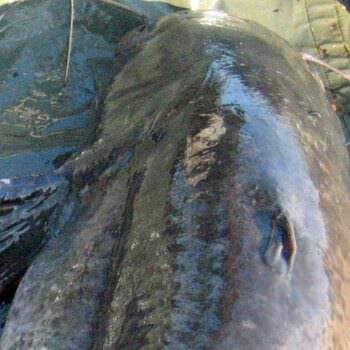 Three catfish over 70lbs in one week is a very rare thing for one angler! 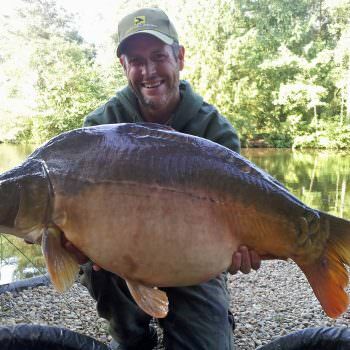 After catching a mid-20 early in the week, Mark dearly wanted a big carp too but had to wait until just 2 hours before they left to bag a 34lb mirror from the channel swim. He seriously earned this fish as he landed it at 02.30am and they were on the road before 5am! All the guys caught 30’s but it was Paul that ended up top rod with a haul of ten fish including a 39lb 12oz mirror and the big grassy at a new lake record of 38lb 10oz on his very last night. 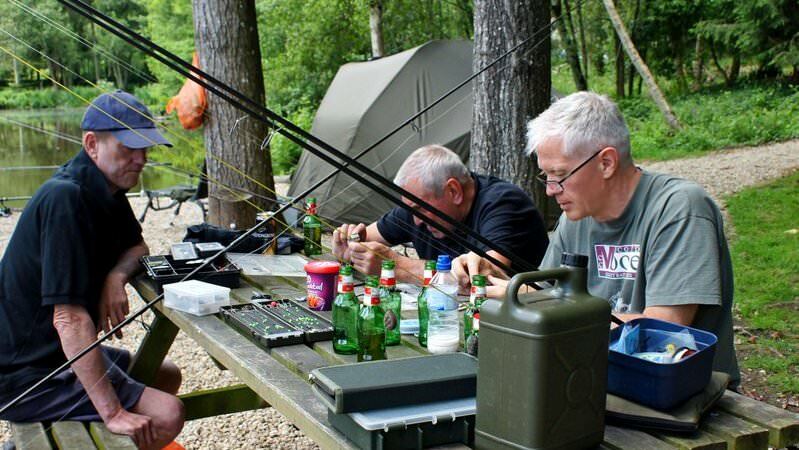 Whilst Garry and Barry took a slightly more relaxed approach to their fishing, they still caught some lovely fish. 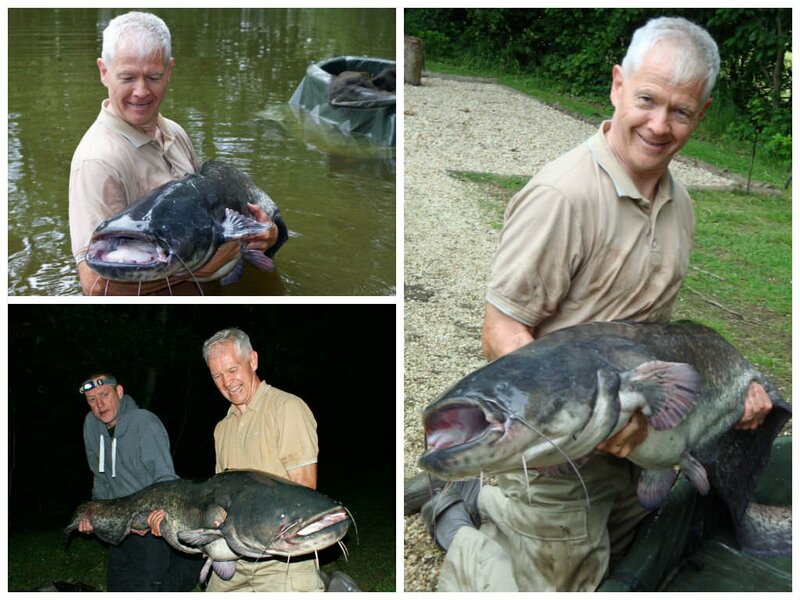 Garry had Norris at 36lbs 04oz and a 32lbs mirror from the Channel swim along with a couple of small cats (8 and 3lb). 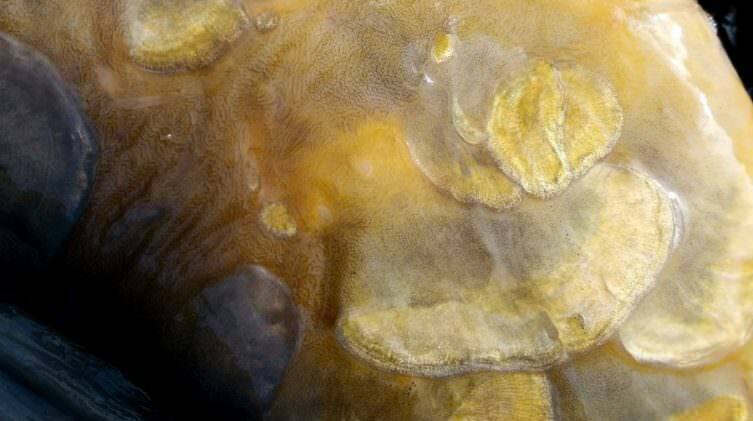 After trying a couple of days in the Home Swim, Barry moved to Point A and then had two carp – a 30lb common and 29lb mirror. Barry also deserves a special ‘thank you’ from the team for keeping the team fuelled with good food all through the week! They also left the house in better condition that it was when they arrived as they helped me fix a sticky tap on the bath and cleaned a jet on the gas hob! It was fantastic to meet the guys and I’m sure we’ll be seeing them in the future. Next Post - My first 30lb river carp!